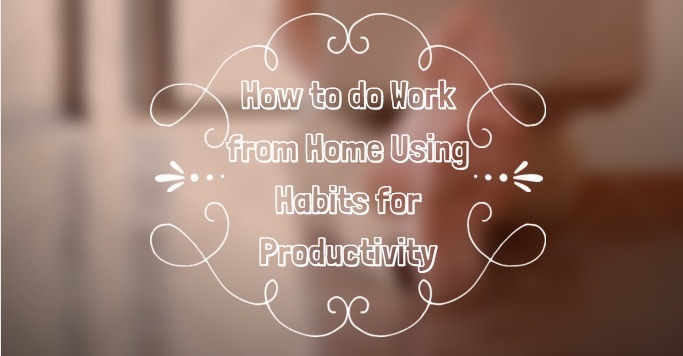 While working from home you will require few essential good habits to be productive, and in this article, we will be sharing five useful methods that will keep you on track while you work from home. Today the biggest temptations for anyone would a staying away from the internet. It’s on your smartphone, tablet, laptop and even in your smartwatch. To write better, I usually go to a place like a library and don’t connect to the internet. This way I remove the possibility of distractions from notifications and more. Apps like Whatsapp, Facebook Messenger, and Email is by far the biggest distractions for me. Making a plan is important and everybody know this, but let suppose when you start writing a blog post that is scheduled to be published at a particular time, then you also need to fix a time for writing it. I use my 10:00 am plan here. At this time I start writing the post and don’t do other work like cleaning the desk, replying to emails or anything like that. This would make it clear how much time does it take to do a task. So, whenever, you decide to do a task, start it at an exact time so you can track your progress correctly. Taking short breaks and taking small walks will always help you focus better. For people who like to exercise in gyms or do yoga can be another booster. In my case, I feel ideas flow more efficiently while I take a walk. Try it and give rest to your rear. How much work every week you are doing. If you are writing one post daily while blogging then it’s easier to track, but when you decide to post two or three times, this can cause variation in posting on particular days. Someday you will say, I will do it tomorrow and cover up by doing it 2-3 days regular, which can become a dangerous habit. Giving a treat to yourself is also essential, by doing this you would continue doing your work and treating yourself as well. A treat can be your favorite thing to do like some people like to read or watch movies or play a game. If the treat is productive to you than it doesn’t have to be knowledge worthy. It should give you time to relax and enjoy what you love. You can build a happier life, become more productive while you work from home and procrastinate less if you do change your habits for good. If you want to read more of this stuff than I recommend reading a book called Better Than Before that will help you master your habits in everyday life.